Barguna Patharghata. Bangladesh. (2007). 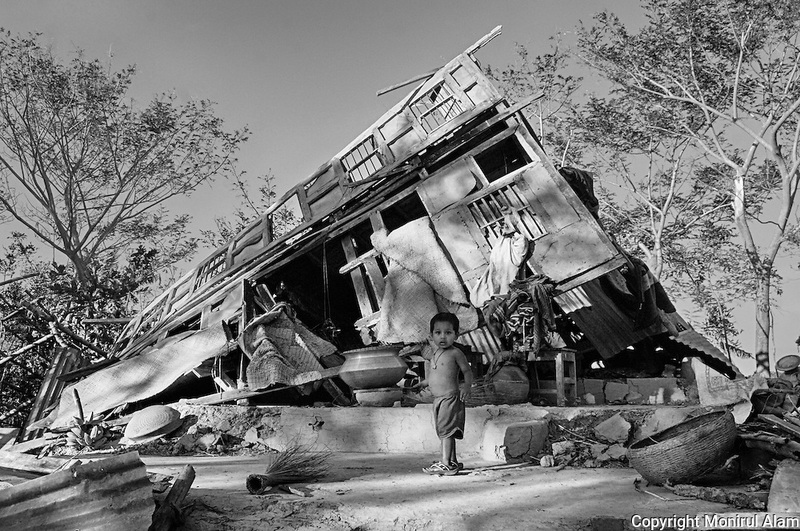 A boy stands in front of a broken house destroyed by a cyclone. Cyclone Sidr reached a top speed of almost 240km per hour. The coastal area was most affected. The country`s southern costal areas and southwest was devastated. Thousands were killed. Almost 3 million people were affected.Bangladesh ranks first as the nation most vulnerable to the impacts of climate change. Scientists expect rising sea levels to submerge 17 percent of Bangladesh's land and displace 18 million people in the next 40 years.